The communities in Prairie Valley School Division offer many lifestyle choices for our staff members and their families. Many of our communities are located along Highway 1, which makes for easy travel to neighboring communities or nearby urban centres, like Regina or Yorkton. 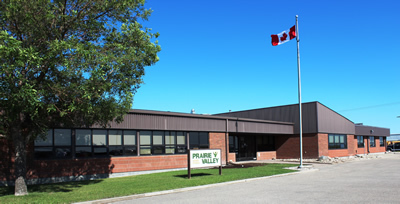 Recreational and cultural facilities in Prairie Valley include museums, libraries, swimming pools, hockey rinks and curling arenas, campgrounds, snowmobiling trails, social centres, fitness facilities, ball diamonds and heritage sites. Twenty-three of the 32 communities are 100 km or less from Regina, which provides those who prefer city life the opportunity to live in the city and still teach in our schools. Our suburban communities, such as Lumsden, White City, Balgonie and Pilot Butte, are vibrant with many amenities while still providing a quiet and friendly small-town feel. These communities each have at least one school and between eight and 15 schools within a 45-minute drive. We have many farming and ranching communities like Kipling, which has eight schools within 45 minutes, Grenfell, which has 11 schools within 45 minutes, Whitewood, which has seven schools within 45 minutes and Kelliher, which has four schools within 45 minutes. Many of our schools are located at or near resort communities. South Shore School is at Regina Beach, a community on Last Mountain Lake that boasts a nearby golf course, snowmobiling trails, boating and fishing. An employee who lives at Regina Beach could teach at four Prairie Valley schools within a 30-45 minute drive. Fort Qu’Appelle is another resort community. The area is home to lakes for boating and fishing, a ski resort, golf courses, a provincial park and a mix of historic features and modern businesses and facilities. Making your home in Fort Qu’Appelle would provide opportunities in 18 schools within a 45-minute commute.